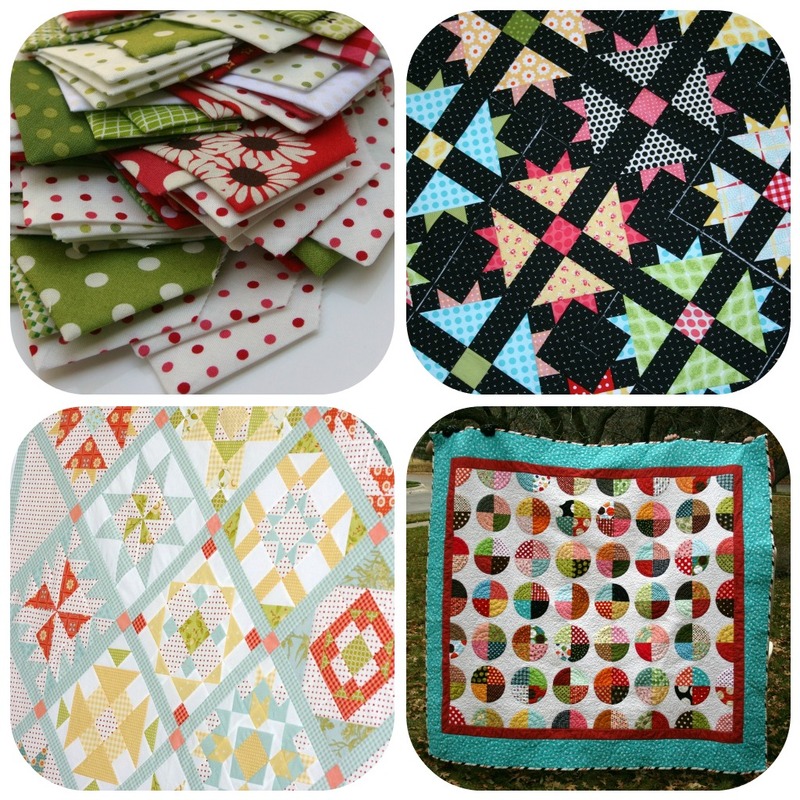 Most of my quilts have polka dot fabrics in them. Whether I use a dot for the entire background fabric or just a little here and there, I almost always incorporate polka dots in my quilts. It adds a bit of whimsy. They're happy! They're classic. I LOVE them. But there have been times when I have went to my stash and just didn't have the variety I needed. It's like all I had was polka dots! In my opinion, polka dots are always a safe choice when buying fabric, but I've realized that I needed to branch out a bit. So, while I was on my quilting retreat two weekends ago, I splurged and bought about 3 yards of fabric. I couldn't resist these prints. I have no idea when I will use them!?! But they are colors that I like. They are sweet and fun and whimsical. Just quarter yard cuts, since I don't really have a purpose for them. Enough to make my little heart happy though. I also felt inclined to buy some more orange and teals for my crayon quilt. Again, only quarter yard cuts. As you can see on the left, I already had 5 POLKA DOTS in my fabric collection!!! I think the ones I bought are adding a nice variety of color, prints and scale to the collection though. And finally, I bought a few fabrics to finish off a little Fig Tree Halloween wall hanging I'm working on. So what's in your stash??? I had noticed your love for polka dots...I think they are darling! I find myself gravitating to the same kinds of fabrics too-only my staple is any tone on tones. Gotta use what you like! I do love polka dots and think you have a nice mixture of colors and patterns here in your new fabric purchase. Love the bee fabric Do you have the name of it or designer? The bee fabric is a Michael Miller fabric, pattern #CX4531. Great fabrics!!! I go in spurts with my fabric choices, but I always love dots. I'm crazy for polka dots too (include them in most of my aprons). I love fruity prints too. Love all that fabric! You have such a fun hobby!